Size of the Industry Indian Paper Industry accounts for about 1.6% of the world's production of paper and paperboard. The estimated turnover of the industry is Rs 25,000 crore (USD 5.95 billion) and its contribution to the exchequer is around Rs. 2918 crore. Percentage in world market Newsprint and publication paper consumption account for 2 million tonnes, of which 1.2 million tonnes of newsprint paper is manufactured in India and the remaining 0.8 million tonnes is imported. India first Machine-made paper was manufactured in 1812. During this time there were 15 mills with a total production of lakh tones. In India the Soft wood is the principal raw material used for making paper especially newsprint and high class printing papers. With rise in population and broadening of education the demand for paper has been constantly escalated. Owing to very narrow forest resources wood pulp is in a shortage. As soft woods grow in temperate climate India is in short supply of such woods. Thus, in such circumstances the Bamboo became the major raw materials for the manufacture of paper in the country as it grows very quickly even after cutting. Paper industry in India is mainly plantation based and is essential that more land must be brought under plantations of eucalyptus and other trees apposite for the making of papers. The paper industry also requires huge amount of soft water and paper utilized for newspapers is called newsprint. Its requirement is bound to grow noticeably. The Nepanagar Newsprint plant in Madtiya was set up to meet these aforementioned demands. The capacity of Indian Paper Industry has been raised to 75,000 tonnes a year. West Bengal and Maharashtra are the leading states for the industry. The total newsprint production has now reached well over 400,000 tonnes. A large number of expansion programmes & expansion of capacities with an outlay of Rs. 10,000 crores have been announced covering the various sectors like paper, paperboard, newsprint, etc. 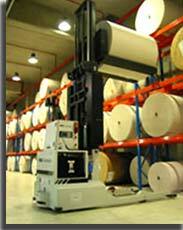 Indian paper industry is a vast industry comprising more than 157 paper-producing divisions all over India. These 157 functional units manufacture handmade paper worth around Rs.21 cores and provide employment to approximately 10,000 people. Sanganer village is the biggest center in western India humming on the rhythm of the sound of paper making activities. The Indian Paper Industry has emerged as a diversified and specialized industry that produces numerous types of papers that comes in various use such as watermark, filter paper, drawing sheets, etc. Other products including Paper Bags, paper diaries, paper photo Frames, Greeting Cards, Handmade paper Boxes, paper Albums, etc, are manufactured and exported across the world. Today, the Indian exporters export nearly Rs.400 crores worth of paper products per annum to the developed nations. The Indian Paper Industry has the top 15 global players with an output of more than 6 millions tonnes annually with an estimated turnover of Rs. 150,000 millions. Indian Paper Industry is riding on a strong demand and on an expanding mood to meet the projected demand of 8 million tonnes by 2010 & 13 million tonnes by 2020. Indian Paper Industry accounts for about 1.6% of the world's production of paper and paperboard. The estimated turnover of the industry is Rs 25,000 crore (USD 5.95 billion) and its contribution to the exchequer is around Rs. 2918 crore. The industry was delicensed effective from July 1997 by the Government of India & foreign participation is permissible. Most of the paper mills are in existence for a long time and hence present technologies fall in a wide spectrum ranging from oldest to the most modern. Paper in India is made from 40% of hardwood and bamboo fibre, 30 % from agro waste and 30 % from recycled fibre. Newsprint and publication paper consumption account for 2 million tonnes, of which 1.2 million tonnes of newsprint paper is manufactured in India and the remaining 0.8 million tonnes is imported. Demand of Paper has been around 8% and during the years 2002-07 while newsprint registered a growth of 13% and Writing & Printing, Containerboard, Cartonboard and others registered growth of 5%, 11%, 9% and 1% respectively. So far, the growth in paper industry has mirrored the growth in GDP and has grown on an average 6-7 % over the last few years. India is the fastest growing market for paper globally and it presents an exciting scenario and paper consumption is poised for a big leap forward in sync with the economic growth and is estimated to touch 13.95 million tons by 2015-16. The futuristic view is that growth in paper consumption would be in multiples of GDP and hence an increase in consumption by one kg per capita would lead to an increase in demand of 1 million tons. As per industry estimates, paper production is likely to grow at a CAGR of 8.4% while paper consumption will grow at a CAGR of 9% till 2012-13. The import of pulp & paper products is likely to show a growing trend. During last few years, the Indian paper market witnessed a five-fold jump in the import of coated paper. The total import of this paper rose to 10,000 tonnes in 2008 from 2,000 tones. The industry provides employment to more than 0.12 million people directly and 0.34 million people indirectly. Some of the paper products are sheet paper, paper boxes, tissues, paper bags, stationery, envelopes, and printed-paper products such as books, periodicals, and newspapers. Specialty papers like sandpaper, blueprint paper, carbon paper are not a part of paper products industry. Stationery includes greeting cards, printing and writing papers, school and office papers, etc. The toiletry products include paper towels, tissue paper, and bath tissue. The US government's recent move to clamp anti-dumping duty against the paper imports from China and Indonesia has affected the Indian paper manufacturers.The Indian Paper Manufacturers Association (IPMA) has urged the Centre to raise tariff walls or at least retain the 10% current level of import duties. Indian paper and newsprint industry has a huge potentials and prospects in coming future. In our, country, demand for paper and newspaper is rapidly increasing. There are vast demands in the area of tea bags, filer paper, tissue paper, medical-grade coated paper, lightweight online coated paper, etc. Indian paper industry is one of the underestimated industries for quite some time because India's per capita consumption of paper is just about 5 kg. Whereas it is 337 kg in North America, 110 kg in Europe and 30 kg in China. Compared to this scenario, India' par capita consumption is one of the lowest in the World. The Rs. 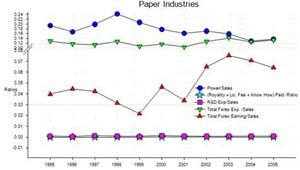 22000-crore paper industry in India, rated 15th largest in world engages about 1.5 million people with the help of Rs. 2500 crore Government subsidy. Government has given paper industry as one of the 35 high-priority lists. 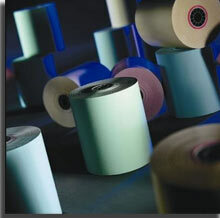 There are about 515 manufacturing units of processing and production of paper. Newsprint and paperboards in India which have the annual capacity of 8.3 million tonnes, is likely to be 16 million tonnes by 2014. There are few state owned and private players in the emerging paper industry like Hindustan Newsprint Ltd (HNL), Tamil Nadu Newsprint and Papers Ltd (TNPL), Ballarpur Industries Ltd (BUILT), Seshasayee Paper & Board Ltd. (SPBL), ITC Paper. Virtually paper industry is decontrolled and there is no price control on finished product. As a result entire cost has shifted upon the end-users. Newsprint prices increase sharply by 24% in a short span of three months to touch a high of $760 per ton, an increase of $145 since December 2007. India also, imports bulk of newsprint from foreign countries. From North America we have imported 18.9 lakh tonnes in 2004 to 26.45 lakh tonnes in 2007, a CAGR of 11.9%. Domestic consumption move up by 6.40 lakh tonnes to 9.70 lakh tonnes, a CAGR 14.9%, while import went up by 12.50 lakh tonnes to 16.75 lakh tonnes, a CAGR of 10.3%. Indian handmade paper industry is a vast industry comprising more than 157 handmade paper-producing divisions all over India. These 157 functional units together manufacture paper worth around Rs. 21 crores and provide employment to 10,000 people.